A multi-disciplinary group of professionals from across the country has urged the Government to expedite the process of retendering the project to build 65,000 houses in the North and East, while underscoring the need for the re-tendering to be carried out in an unbiased and transparent manner. “For almost a year now a move by the Ministry of Resettlement to award a contract for 65,000 pre-fabricated steel houses for war-affected households to the multinational ArcelorMittal has raised many serious questions and public debate. Regrettably, despite the wide spectrum of concerns by a cross-section of voices, the government did not expeditiously review the project. Thus lengthening the wait of thousands of war-affected households for adequate housing,” the statement said. Quoting recent media reports, the group said that the government has decided to re-tender the project entirely breaking it up to smaller components. “If confirmed, this move is belated but necessary. This would be meaningful and welcome only if the retendered project is redesigned so as to be rooted in principles of equity, community ownership, participation and social mobilisation and strengthen communities and the local economy. Moreover, it must rely on mobilisation of domestic financing and industry, use of locally appropriate/adaptable materials, technologies and labour, and, ensure socio-culturally appropriate houses,” the statement said. The group called on independent and like-minded individual and groups as well as the media to continue to pay attention to this important initiative and ensure it is designed, planned, tendered, implemented and monitored so as to deliver just and meaningful outcomes for some of the country’s most vulnerable communities. 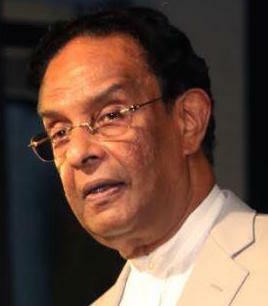 Sri Lanka: Why Fear Devolution?